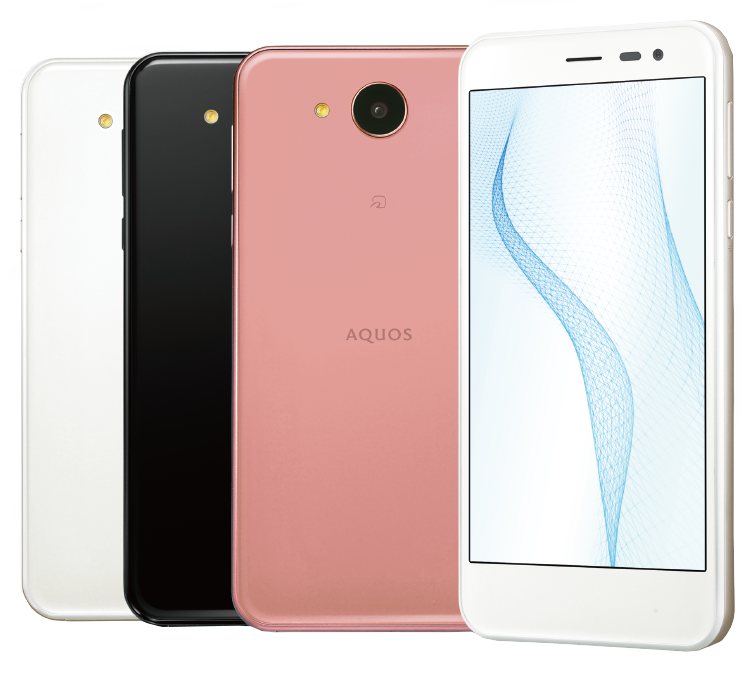 Due to hit shelves in mid-July 2017, the Aquos ea looks exactly like the Aquos R, minus the Samsung-style round button at the bottom, and continues the no-design-ingenuity line that began with the Summer 2016 collection. The Aquos ea is merely a new iteration of last year's SH-02J by Docomo/Aquos U SHV37 by AU/Android One 507SH by Y!Mobile. Place them side by side and you won't be able to tell them apart. It has the same 5-inch HD display (720 x 1280 px) built using the latest in-cell touch IGZO LCD technology, where the digitizer is intregrated into the display. This improves touch response (you can even use it when wet) and light transmittance (better battery life), decreases reflected light (improved visibility). The Aquos ea also features the Relax Auto function which reduces blue-light levels at night for greater viewing comfort and to fight eye fatigue. In comparison with the previous model, which had a 2700 mAh battery, capacity has now been increased slightly to 3010 mAh. Depending on how heavily you use it, this should easily give you the 3+ days on one charge that Sharp promise. No change in the camera, though: the same 13.1 MP f/2.2 main & 5 MP wide-angle secondary shooters found on the SH-02J/SHV37. No change in operating power either: still just 2 GB of RAM, out of which you will barely have 500-600 MB free; same 16 GB built-in storage that seriously limits the number of applications that can be installed. However, if you're going for the Aquos ea, you probably won't be needing much space – the phone is targeted at first-time smartphone users who don't really want a ton of apps, just a reliable device that won't need daily charging. Storage can be expanded using microSDXC cards to up to 256 GB. The processor is an upgrade from the previous Snapdragon 430 (MSM8937) – the Snapdragon 617 (MSM8952) has 4 x 1.5 GHz + 4 x 1.2 GHz cores. Like all recent Sharp smartphones, this one has the EMOPA personal assistant, too. Too bad it's still only in Japanese. The pre-installed OS is Android 7.0. Connectivity features include Wi-Fi b/g/n, and Bluetooth 4.2. Only OneSeg is supported. The Aquos ea can reach data transfer speeds (using 4G LTE) of up to 187.5 Mbps (downlink) and 37.5 Mbps (uplink). The phone is, naturally, waterproof (IPX5/IPX8) and dustproof (IP5X). The Aquos ea measures 71 (width) × 142 (height) × 8.8 (thickness) mm, and weighs about 135 grams. The same colour range is offered as for the Aquos R: Mercury Black, Zirconia White, Blaze Orange. * Upon initial announcement, the Aquos ea had the codename 605SH, and the Aquos R – 604SH. Later, when the devices actually rolled out, the Aquos ea codename was changed to 606SH, and that of the Aquos R – to 605SH.